TAG Hardware studies various storage spaces in the home and creates accessories that reflect modern sensibility and style. Our engineers create hardware and accessories that are modular, highly functional, and aesthetically inspiring. This uncompromising approach has placed TAG at the forefront as a conscious designer and product developer rather than merely a manufacturer. 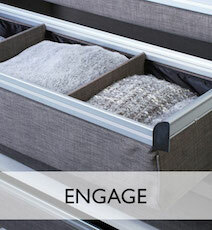 TAG enhances the functionality of the home with its Coordinated Hardware Systems. Our products can be fine-tuned by a design professional to suit the individual lifestyle of the homeowner. The coordinated finishes and designs we provide give the space a sleek and uncluttered look. TAG Hardware isn’t simply a manufacturer of storage accessories; we are a privately-held engineering firm with a deep affinity for responsive design. Our patented modular designs are made in North America, where we can cater to the changing demands of the local market in real time. 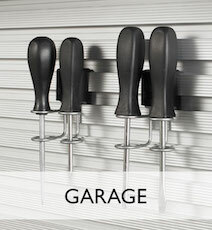 TAG Hardware allows you to create the perfect, custom-coordinated space. Our accessories complement the professional designer’s vision with a timeless style that differentiates their designs in any space - whether it's a sleek Manhattan studio, an expansive country rancher, or a modern California contemporary. The ideals and processes that influence our product designs provide the homeowner with unparalleled storage functionality in a luxurious product. Recurring style elements in TAG’s collection creates cohesiveness within and across each application, while contrasts in color and texture draw the eye to the aesthetic of each piece. Keep up to date with product announcements and recent news at TAG Hardware. 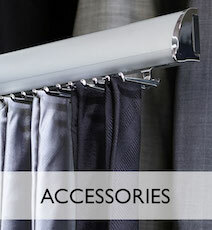 Looking to add a custom closet featuring TAG Hardware accessories to your home? Drop by your local closet shop and request our products by name. 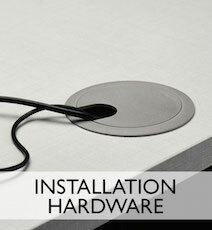 Are you a custom closet shop interested in adding TAG Hardware accessories to your product line? Please visit our distributor at HAFELE.com or fill out the webform below for additional information/support.